As intense applications such as HPC are moved to the cloud, data center operators are re-evaluating how to plan, develop and deploy data centers. With the emergence of hyperscale computing, data centers are shifting their focus to automated connectivity and virtualized platforms. Advancements in trends such as telemedicine, gaming, virtual reality and movie rendering are resulting in applications that are more and more latency sensitive, requiring close proximity onramps to network dense ecosystems. In 2019, we will not only see increased investment in more hyperscale data centers that are providing optionality for hybrid and multi-cloud solutions for enterprise, but the development of the "hyperscale edge" as data center providers look to focus on scale, economics and interconnection for those cloud providers, eyeballs, networks and enterprises that value low latency. At the rate of adoption of hyperscale computing, we also predict that the hyperscale edge will eclipse the CDN market in the race to the edge to meet high-compute and low-latency needs. Over the past 20 years, Bill has held a variety of executive leadership positions in the global communications sector across data centers, cloud services and software. In addition, Bill has served as a Senior Operating Partner responsible for communications infrastructure investments at Stonepeak Infrastructure Partners, a private equity firm specializing in North American infrastructure and the majority equity holder in Cologix. Bill was most recently Executive Vice President of Cloud Services at VMware and previously served as President of Savvis, a public data center and cloud infrastructure provider. 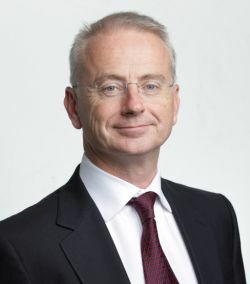 Bill currently serves on the Board of Directors of euNetworks and was also a member of the Board of Directors of Telx, a leading cross-connection and colocation platform. Bill holds a Master of Arts in Engineering from Cambridge University.